April 7, 2011 - Designs that may make airplanes greener and quieter for future generations are one step closer to reality with recent NASA contract awards. Four industry and academic teams will split $16.5 million for additional research into ideas for aircraft that could enter service between 2030 and 2035. NASA refers to this time period as N+3, representing technology three generations more advanced than what is in service today. The teams studied the ideas from October 2008 to April 2010. Under the new contracts, the teams will develop concepts and models that can be tested in computer simulations, laboratories and wind tunnels. The work is funded by NASA's Aeronautics Research Mission Directorate in Washington. The agency's Fundamental Aeronautics Program is focused on developing technology that will enable aircraft to meet national goals for reduced fuel consumption, emissions and noise. The Boeing Research & Technology award continues the work of the SUGAR Project, which looked at truss-based wing aircraft designs and hybrid electric engine technology. The new contract will allow the team to start collecting higher fidelity data on its concepts. 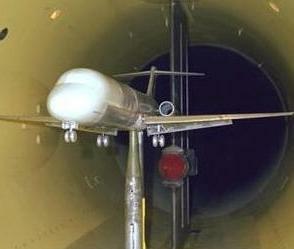 Under the contract, the team will design, construct and test wind tunnel mockups and computer models of the airplane. The team also will study lightweight materials and engine concepts for even more futuristic planes that could fly between 2040 and 2045. The MIT team is moving forward with work on its "double bubble" airplane design. Its concept is a dual fuselage, two partial cylinders placed side by side, that would create a wider structure than the traditional tube-and-wing airliner. The team will develop the technologies identified during the first study and build a model for testing. MIT also will explore the challenges of high-efficiency, small-core engine technology - the idea that it is not necessary to increase an engine's size to increase efficiency in delivering power. The Cessna Aircraft Company team will focus on airplane structure, particularly the aircraft outer covering. Engineers are trying to develop what some call a "magic skin" that can protect planes against lightning, electromagnetic interference, extreme temperatures and object impacts. The skin would heal itself if punctured or torn and help insulate the cabin from noise. The NASA funding will help the company develop, integrate and test the revolutionary structural concept.